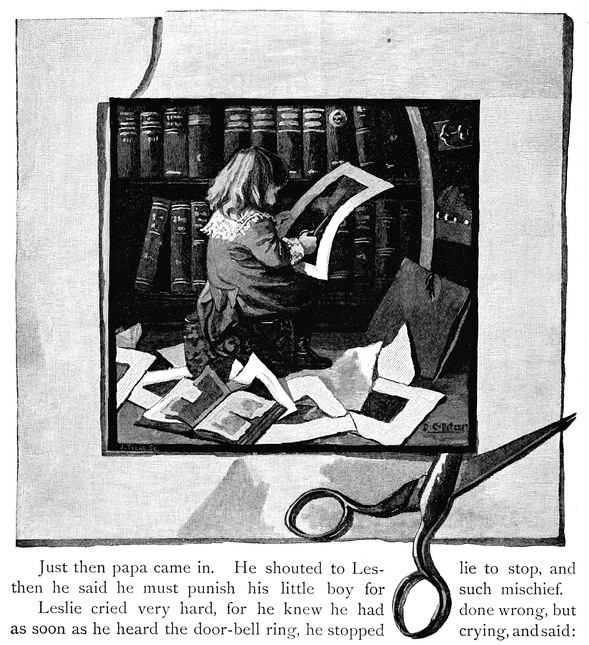 A little girl raids the family library to cut out pictures for a collage. This craft and collage artist drawing is cleverly done where a scissors appears ready to cut out this drawing of the little girl cutting out other pictures. This picture in picture craft image is copyright free and in the public domain.